Scotland is home to a wealth of impressive archaeological remains, some of which are unique to the country itself. Brochs are among these unique sites and can be found in large numbers in northern Scotland, with Caithness, Sutherland and the northern isles being home to the densest concentrations. It’s fair to say that brochs are not well known outside of Scotland and even in Scotland they are probably less well known than the country’s other heritage sites. 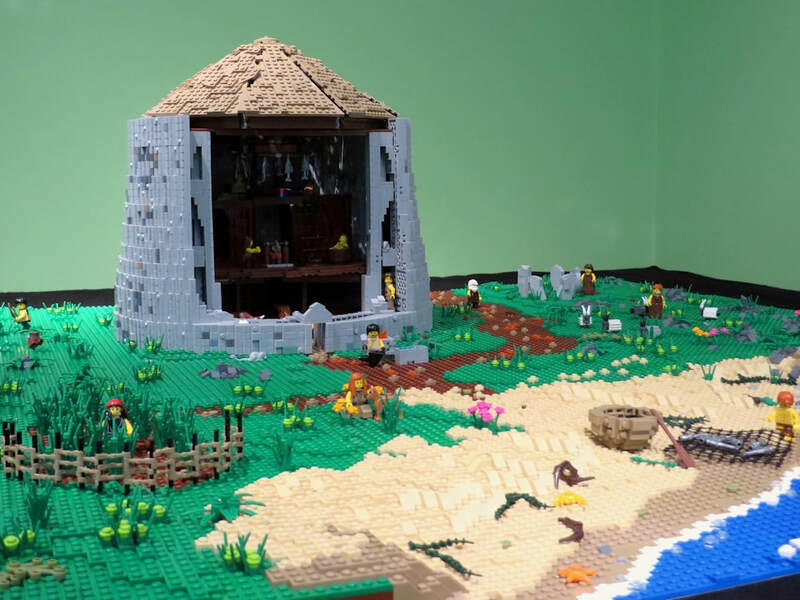 The LEGO broch was therefore commissioned by Caithness Broch Project to raise awareness about the structures, particularly in Caithness, which is home to the greatest number. Work begins on a brand new broch. The brief for the work required an exterior, an interior and a landscape of just under 1.2 x 1.2 metres. We needed to show the broch's key architectural and structural features, such as the intramural staircase and galleries, wall voids and guard cells. This was therefore a challenging brief, because despite the abundance of broch or candidate broch sites, a great deal of uncertainty surrounds their purpose, use and appearance and indeed the purpose of many of the features they share. Before building begins and plans drawn up we always carry out a period of research. While much of this is desk based, we also carry out field trips whenever possible. 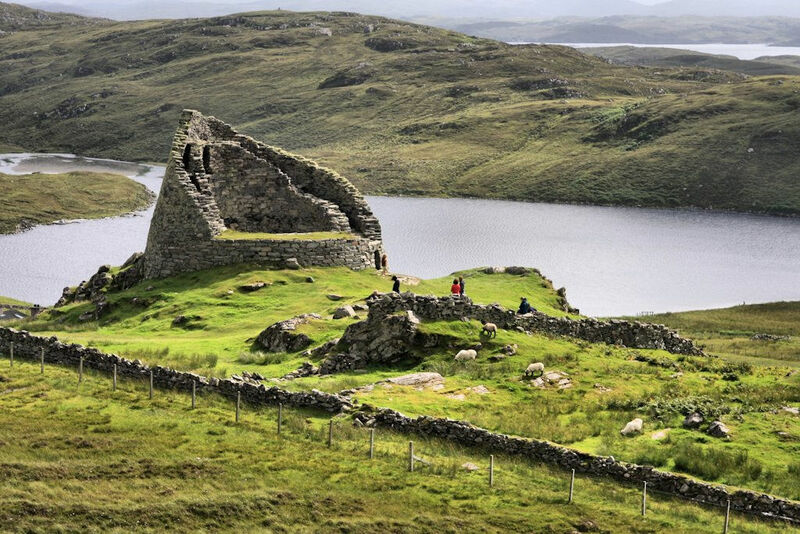 For this project we visited a number of broch sites in Caithness and Sutherland, including Dunbeath and Carn Liath, as well as the impressive remains of Dun Carloway on the Isle of Lewis. Field trips such as this usually prove invaluable as they often reveal features that would otherwise be missed, help us choose techniques and colours for the model and provide us with a sense of the landscape in which the site sits. A broch is an Iron Age drystone hollow-walled structure of the ‘complex Atlantic roundhouse’ tradition. They are typically around 10 metres in height and have an internal diameter that varies from 5 to 15 metres, with 3 metre thick walls. 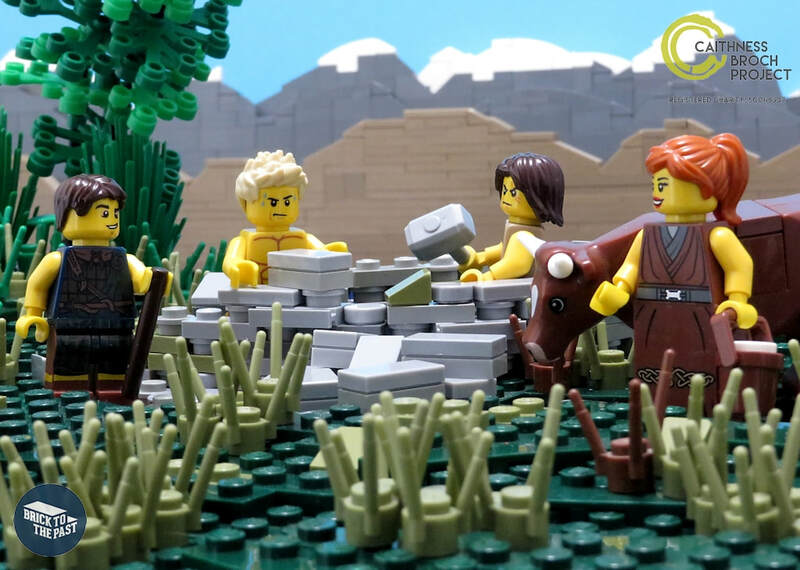 The purpose of their unusual design remains a bit of a mystery, with theories including their use as defensive structures, farmhouses or high status dwellings never gaining a high degree of certainty; there are in fact, problems with all of these theories. It may also be the case that their purpose changed over time and even from place to place; for example the broch 'villages' which occur at a few places in Orkney have no parallel in the Western Isles. The broch towers themselves do tend to share a number of key features, perhaps most significantly, the way in which their walls were constructed. Intra-mural staircases and galleries are found in all brochs, but again their purpose is uncertain. It is thought that the staircase led to a timber first floor which provided the living space for the broch’s inhabitants, however the upper galleries are too narrow for humans to enter and therefore cannot have had the same purpose. One theory is that, combined with wall voids (which appear to weaken the broch’s overall structure), the galleries provided a sort of insulatory barrier between the outer and inner wall. 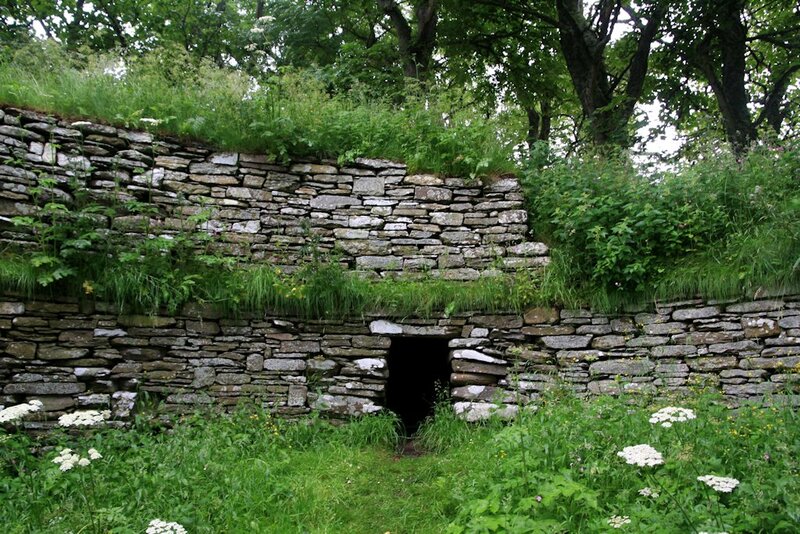 Moisture would only be able to penetrate the broch’s outer wall, while warm air from a fire would dry it out. 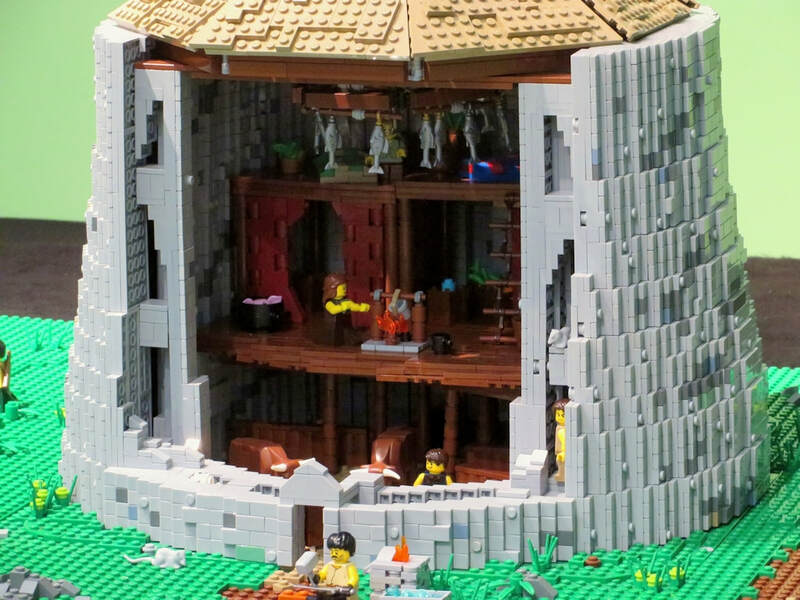 ​This of course assumes that brochs had a roof that enclosed them, a theory that may be preferred today, but is not one that has always been supported. The design of the roof was one of the hardest decision because there is in fact no strong evidence for how they might have been constructed. Various designs have been put forward, including a dome shaped roof, however the most common representation continues to be the conical roof. It’s a conical roof that we’ve therefore gone for in this model, though it does raise questions; for example, how would it have been constructed and in an area with so few trees, where did the timber come from?. ​Returning to the interior of the broch we again have to encounter the problem of building a model based on scant evidence. The strongest theory is that the ground floor was used as a place to keep animals, while a wooden floor would have been suspended above it from a scarcement ledge or stones. The theory is a reasonable one in that the ground floors of brochs are often uneven and sometimes contain bedrock protrusions, making them impractical for day to day living, while the cohabitation of farm stock and humans is something found throughout history. In certain brochs the remains of post holes, which could have provided support for a floor above, have also been detected. Evidence for how this upper floor might have been used is also scarce, and the existence of a second floor above it, even scarcer. It is however plausible that a second floor existed, particularly given the enormous space that would have needed to be heated if it did not. One interesting theory about the use of brochs is that their size and shape made them ideal for smoking fish and meat – we’ve therefore suspended some fish from our roof as a nod to that idea. The landscape on which the broch sits takes inspiration from Caithness’ east coast, with a low lying coastal plain, golden sandy beach and low rocky outcrop. 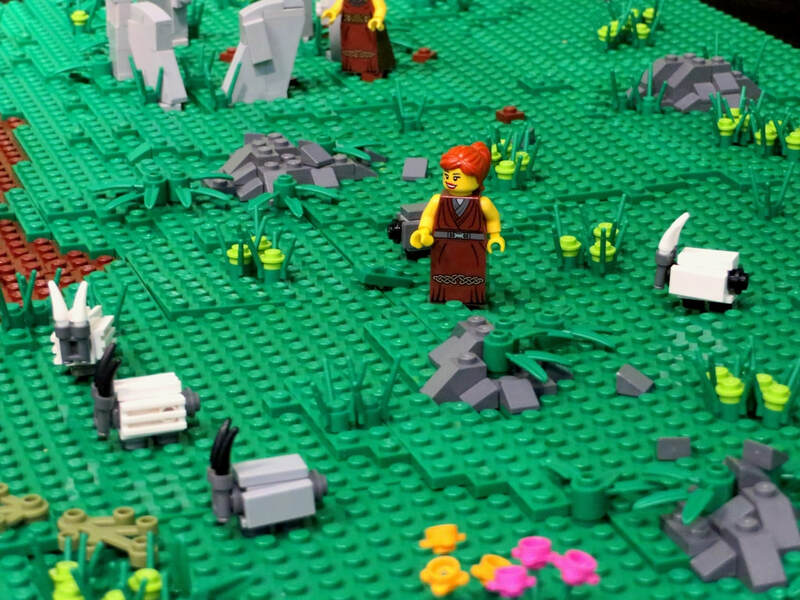 We’ve bought this to life with a family of minifigures who are engaged in activities that would have been common in Iron Age Caithness, such as farming, fishing and hunting. We’ve also added a few other archaeological features. One of these is a stone circle, which would have course related to an earlier period of occupation, but would still have been a prominent feature of the landscape during the Iron Age. The other is a souterraine, which is a type of underground gallery associated with Iron Age settlement along the Atlantic fringe. Their purpose is uncertain, but it has been suggested that they were food stores or hiding places during times of strife. 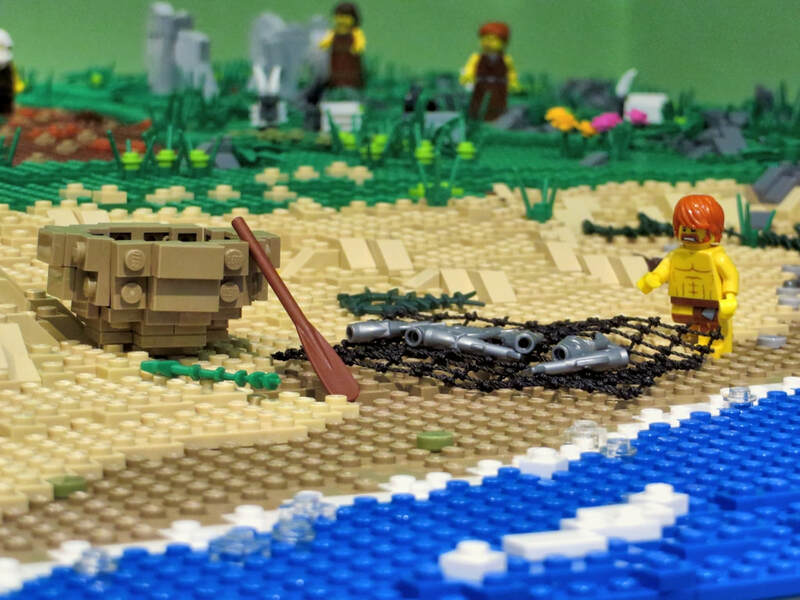 ​The LEGO broch was built by Dan Harris, while James Pegrum produced the landscape. As part of the project we also created instructions for a mini-broch that can be found on our website – check them out and get building! The broch's landscape is alive with iron age industry and agriculture! 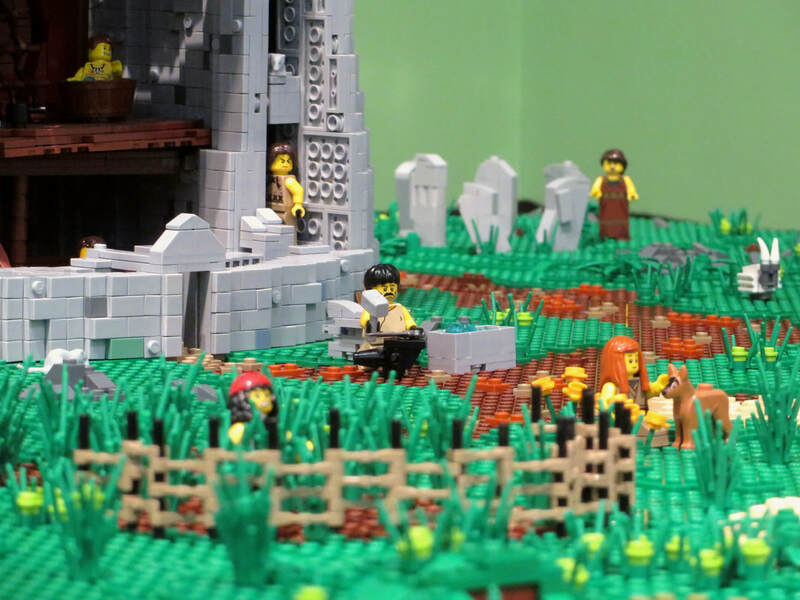 Telling simple stories with LEGO minifigures brings the model to life. Caithness has an amazing coastline that would have provided food during the Iron Age. 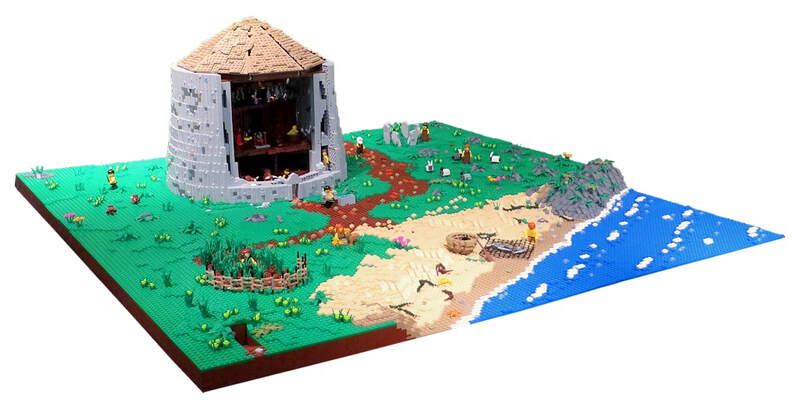 The mini-broch is made using the same techniques as the minifigure scale broch. Promote and Preserve existing archaeological sites in Caithness, through improved signage, access and information releases on these sites. ​Create an Archaeological Trail around Caithness, for locals and visitors alike to follow and discover the wonders of our past. 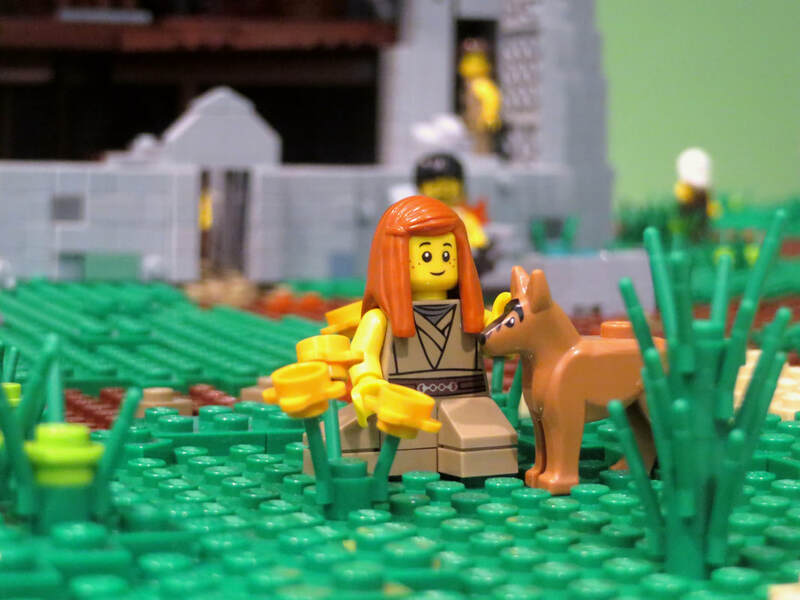 The ultimate goal of the project, through authentic building techniques from the time, is to build a replica of an Iron Age Broch, which becomes the base for a Tourist Centre and Dry Stone Workshop. Iron Age life doesn't have to all be work. If you're interested in commissioning us to design and build you a model, please contact us for more information.